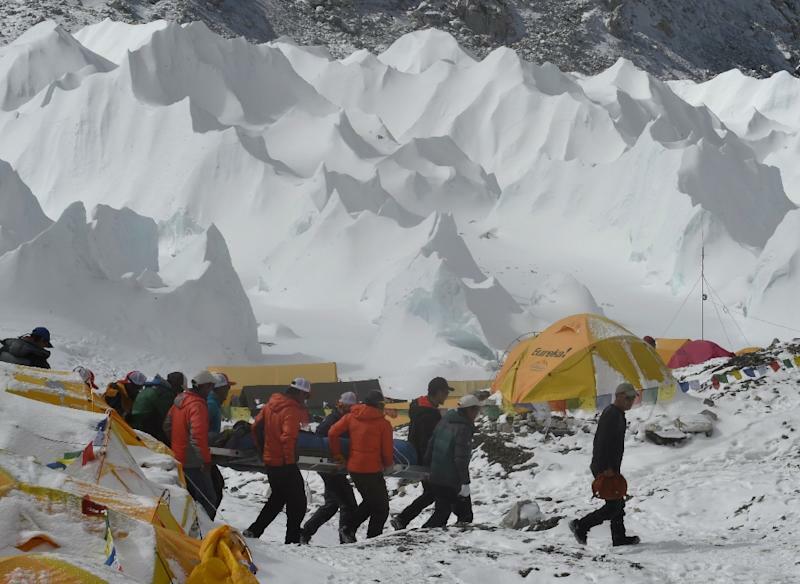 mount everest (Nepal) (AFP) - AFP Nepal bureau chief Ammu Kannampilly was at Everest base camp on Saturday when an avalanche cascaded down the mountain, flattening everything in its path. 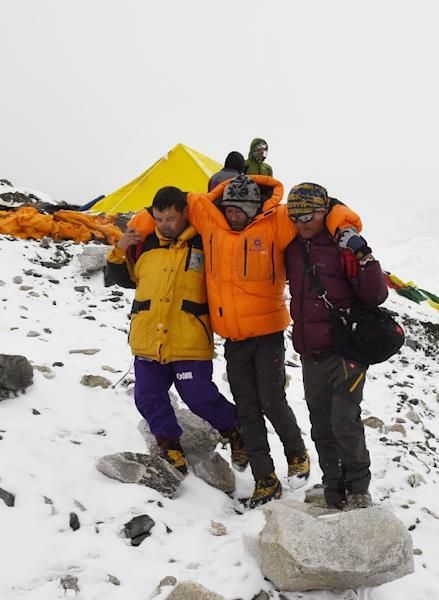 Eighteen people are so far known to have died in the tragedy which comes barely a year after the death of 16 sherpa guides in an avalanche that had been the worst disaster in Everest's history. Still incredulous at surviving being flattened by a massive wall of snow, George Foulsham says the latest disaster on Everest felt like a message from the mountain that "it's not meant to be climbed for now". Like many of the climbers, Foulsham had returned to base camp for a second shot at the summit of the world's highest mountain after last year's climbing season was cancelled for the first time ever. Speaking at base camp, the 38-year-old marine biologist recounted the moment that he was knocked off his feet by what he called "a 50-storey building of white". "I ran and it just flattened me. I tried to get up and it flattened me again. I couldn't breathe, I thought I was dead," said the Singapore-based Foulsham. "When I finally stood up, I couldn't believe it passed me over and I was almost untouched." As he and his fellow climbers awaited an airlift off Everest, Foulsham reluctantly conceded that his dream may now never come true. "I saved for years to climb Everest (but) it feels like the mountain is saying it's not meant to be climbed for now," he said. "It's too much of a coincidence to see this twice in two years." Ellen Gallant, an American climber and cardiologist, described how she had tried to help those who were injured but was unable to save one victim who died before her eyes. "I was outside, saw this huge blast cloud coming down," she told AFP. "I ran into the tent, threw myself on the floor. When the vibration stopped, I went out and radioed over to the medical tent. They asked me and an Indian climber (a doctor in the Indian army) to take care of head injuries. "We worked through the night, doing rounds, handing out medication, putting in IVs (intravenous drips). 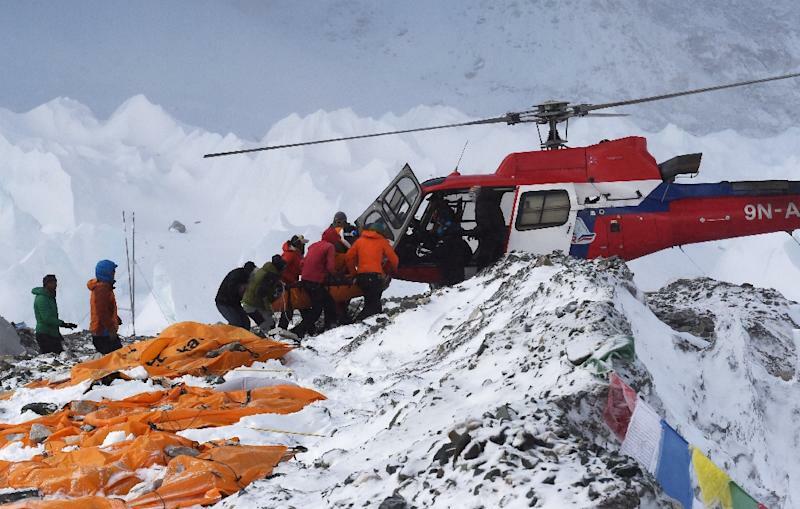 "Of the nine patients, one of them died last night - a 25-year-old sherpa. His blood pressure had fallen - there was nothing we could do." Gallant said the conditions were rudimentary. "Around 6:00am, we heard helicopters and we knew we would make it out of the woods. We were able to send the eight out. "When you go to medical school, you learn to focus on the task at hand. But now that things have settled down, it's hit me hard. "That young man who died in front of me -- a 25-year-old shouldn't have to die. Kanchaman Tamang, a Nepali cook who was working for the Jagged Globe tour group, said the latest tragedy was particularly painful coming so soon after last year's deaths. "I was in the dining tent when the avalanche hit - it sent the tent flying," the 40-year-old told AFP. "After last year's avalanche, I never worried about coming back -- I told my family I work at base camp and it's safe, not like the icefall. "The season is over - the route has been destroyed, icefall ladders are broken. "I don't think I will come back next year -- this mountain means too much pain."